View into the shop from the front door. 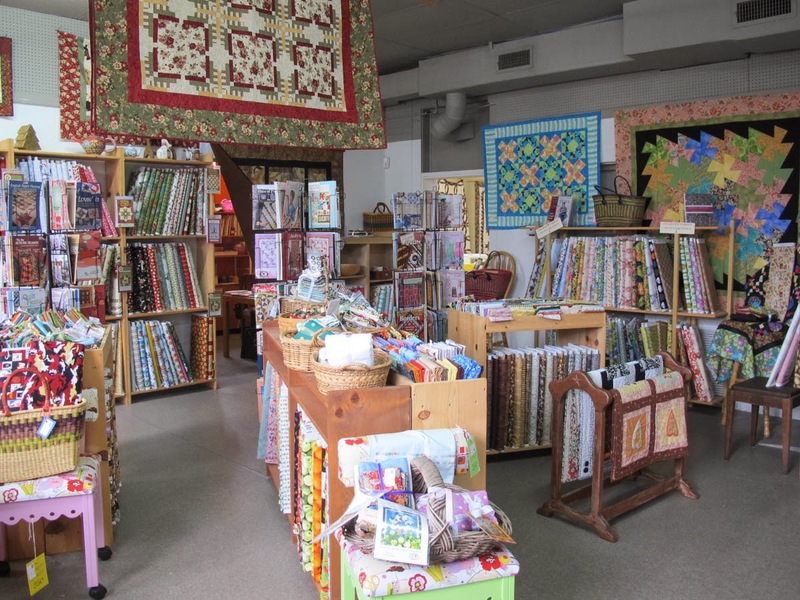 I wouldn't be a quilter if I didn't have a compulsion to check out quilt shops in my travels. I must stick to the "no stash" rule but there will be things I need for current projects. Any excuse will do, you know. 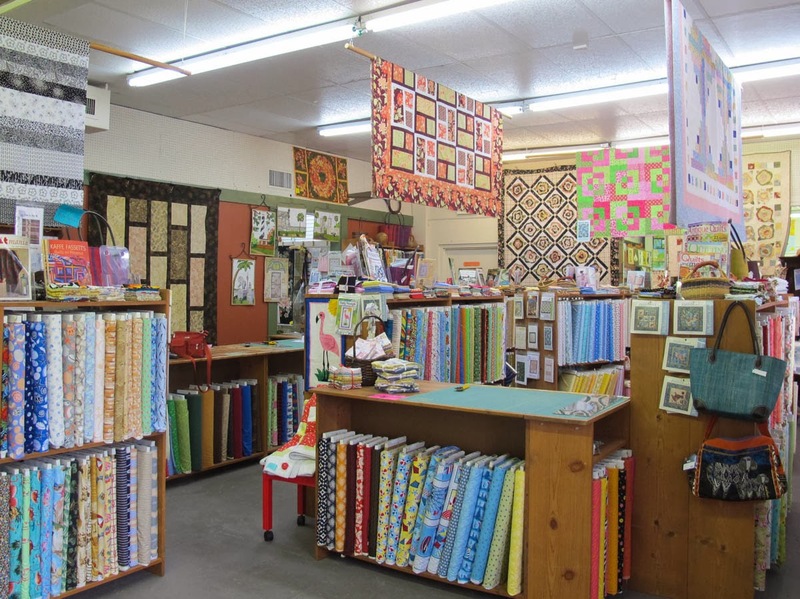 So here is my first blog about a quilt shop. Room 2: Batiks, orientals, etc. 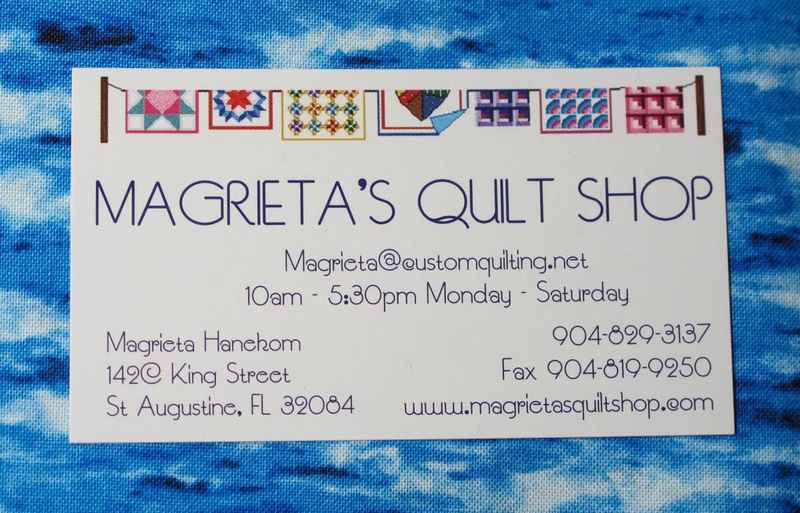 We recently visited St. Augustine, FL (loved it) and I made it a priority to visit MAGRIETA'S QUILT SHOP, listed in the Quilter's Travel Companion. They graciously gave permission for me to take pictures and blog about them. I was on the lookout for seashore themed fabrics for a bed runner using fabric prints of lighthouses along the Oregon coast. I picked them up the year I attended the Sister's Oregon Quilt Show. The show and Oregon were wonderful, by the way, but I digress. Magrieta's didn't disappoint and I found a selection of the types of fabrics I was interested in and made some choices. 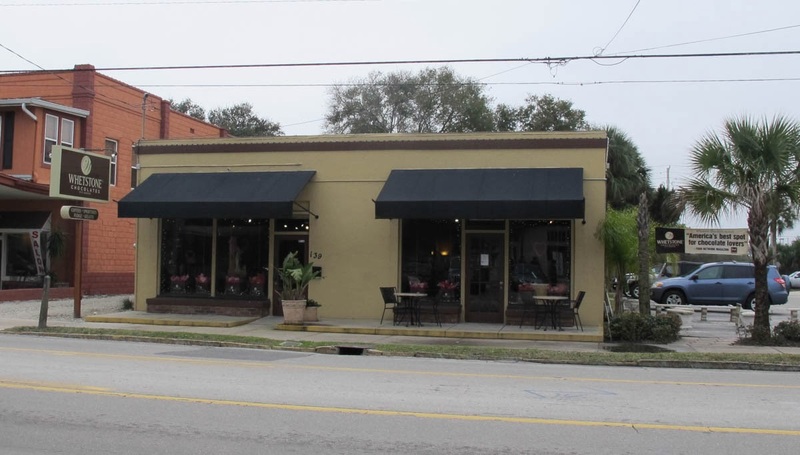 They are a 2500+ bolt shop with everything you need to go with all that fabric plus classes. 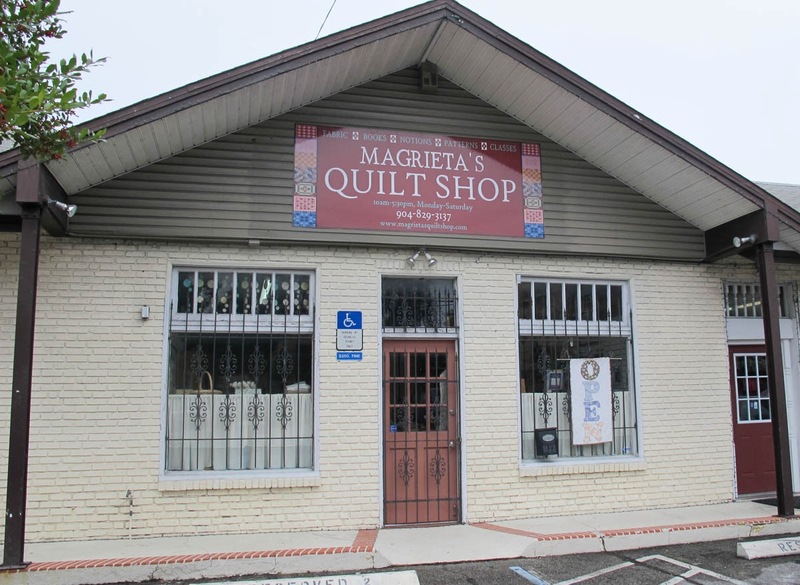 Magrieta herself offers classes in quilting with your home machine, both free motion and with a walking foot. I found the shop very attractive and the staff friendly and helpful. 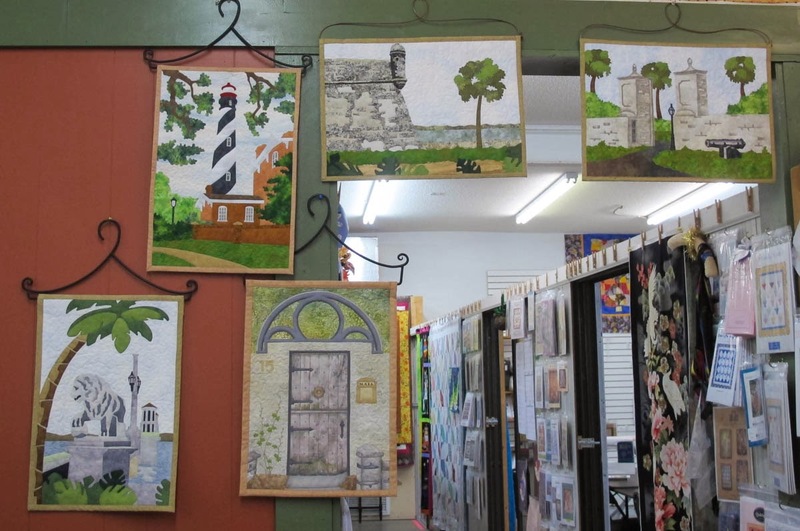 I also purchased a beautiful pattern for a 14-1/2 x 21" wall hanging of the St. Augustine Lighthouse. Patterns for other St. Augustine sights were also available and I was really tempted but stuck to the no stash rule and resisted. Jim Rolick, a Snowbirder from "up north", is the creator of the patterns. They are available exclusively at Magrieta's. They can also be purchased from their website. See the photo of their business card below for the web address, etc. Click on a picture to enlarge. Rm. 3: 30's, seasonal and more plus patterns & notions. And now for a little icing on the cake, so to speak. 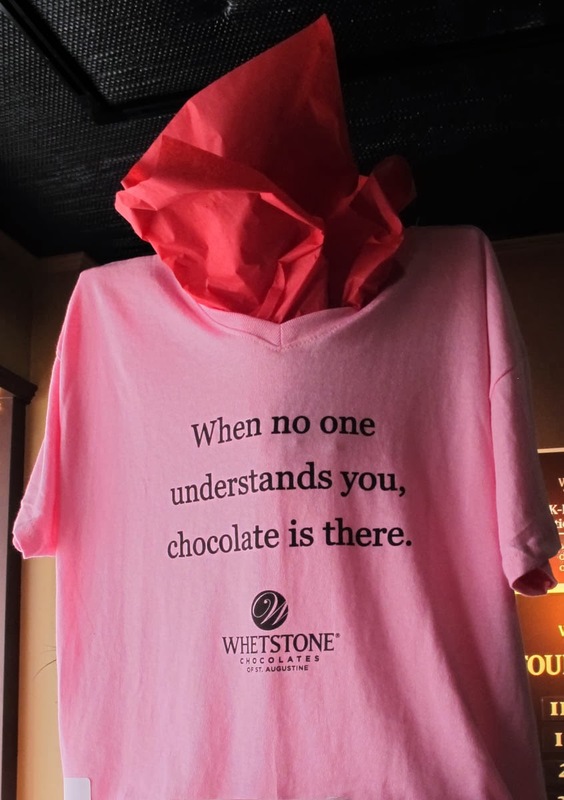 Directly across the street from Magrieta's is the Whetstone Chocolate Factory. 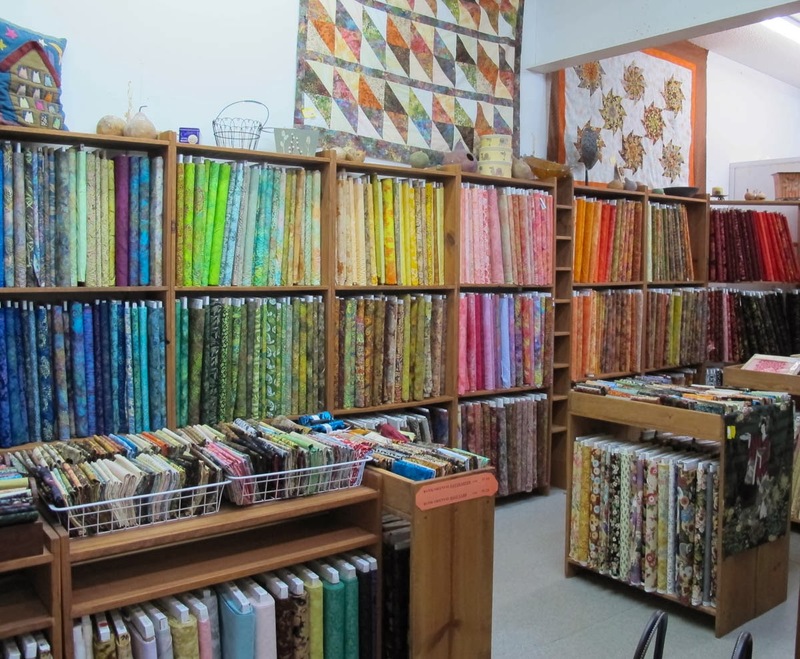 Is that not a quilter's dream? A match made in heaven. They offer free tours (with tasting!) and a retail shop where you can have a cup of coffee and make a chocolate purchase. We didn't have time for the tour but came away with a 10 oz. sample box of chocolates. And they are very good chocolates. A tee for sale in the shop. No, I didn't buy one but should have!